Well, we got a bit of snow and even more cold weather. I am not fond of winter at all. 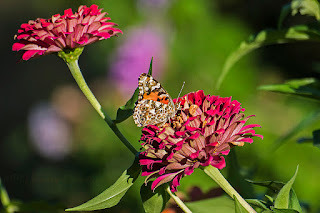 I am dreaming of warmer weather and I found an image to warm me up. 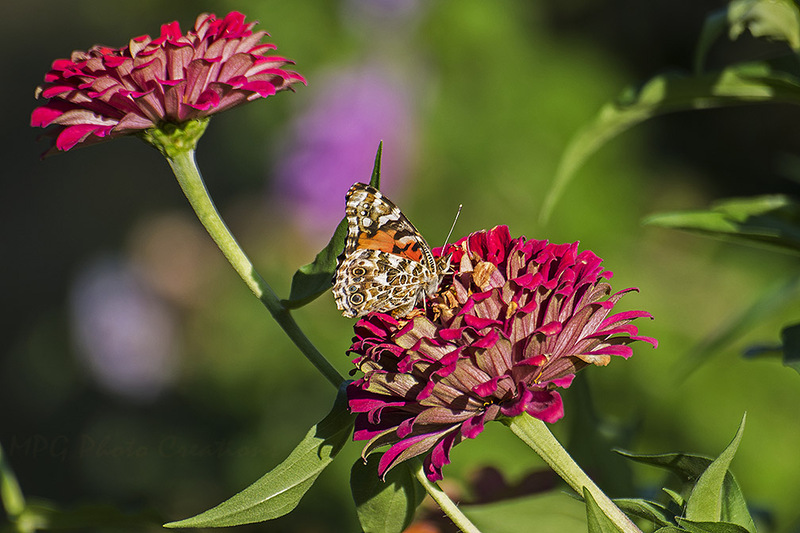 This is a Painted Lady on the Zinnias in my garden from this past year.